Since Doi moi (reform) in 1986, Vietnam’s economy has experienced high rates of growth, which has mostly been attributed to the expansion of the private sector and foreign direct investment. Similar to other emerging economies, in Vietnam there are significant differences among organizations with different ownership structures. 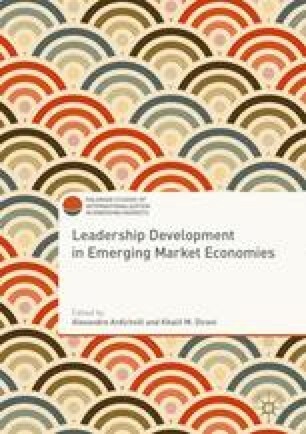 This chapter describes leadership development efforts in Vietnamese business organizations both in the private sector and the public sector. The chapter starts with an overview of the Vietnamese economy. Next, it describes employee training and development practices after nearly 30 years of reform followed by the discussion of the status of leadership development in Vietnamese business organizations. Finally, implications for research and leadership development practices in Vietnam are discussed. King-Kauanui, S., Ngoc, S. D., & Ashley-Cotleur, C. (2006). Impact of human resource management: SME performance in Vietnam. Journal of Developmental Entrepreneurship, 11(01), 79–95. http://www.gso.gov.vn/default_en.aspx?tabid=467&idmid=3&ItemID=12895. VCCI. (2011). Vietnam business annual report. Retrieved from http://vbis.vn/en/wp-content/uploads/2015/08/Vietnam-Business-Annual-Report-2011.pdf.